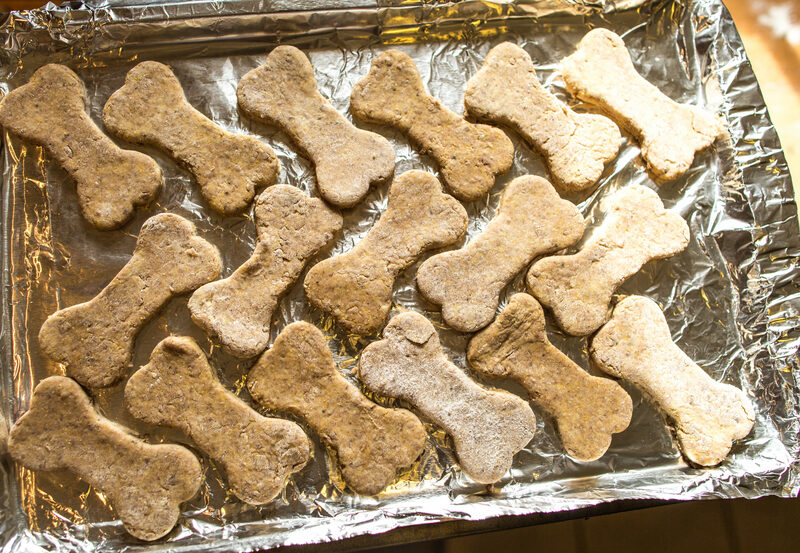 These crispy dog biscuits are fun to make and filled with nutritious ingredients. 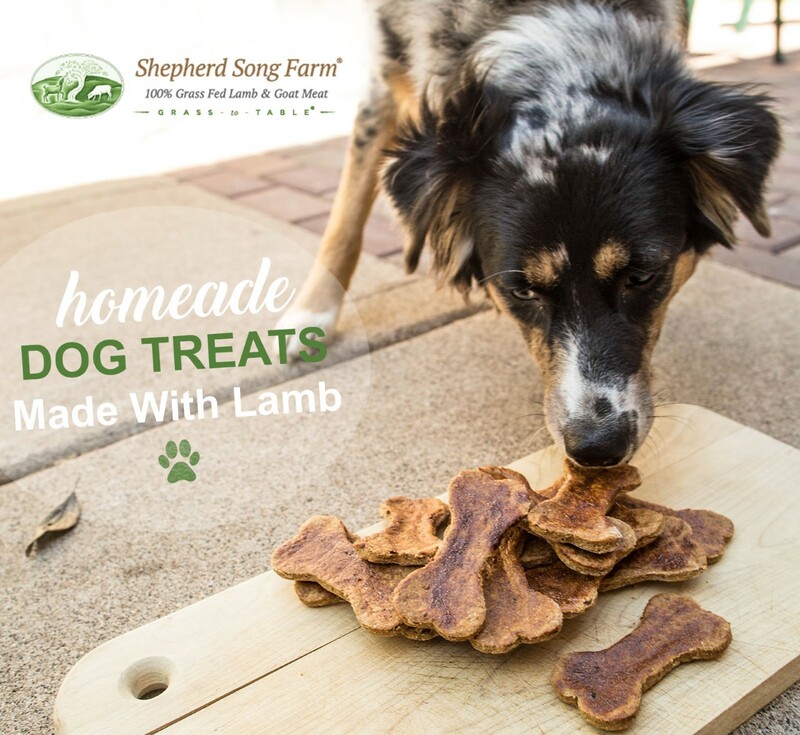 These are especially good for dogs with sensitivities and allergies as problem ingredients can be replaced. 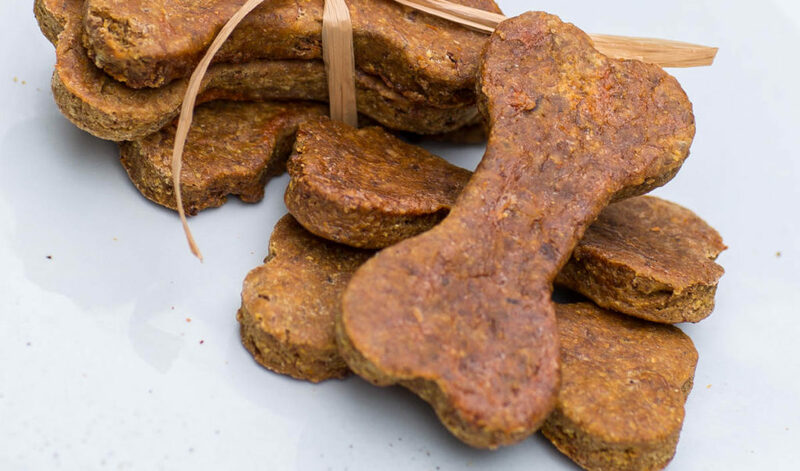 They are beef, wheat, and soy free, though all purpose wheat flour can be substituted for oat flour if desired. They can be made in bulk and stored in the freezer until needed. 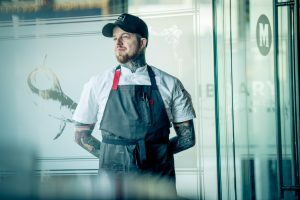 Chef’s Tip: For added nutrition and economy, replace part or all of the ground lamb with ground goat, ground liver, or ground heart, note that you may have to substitute another fat to make the glaze. 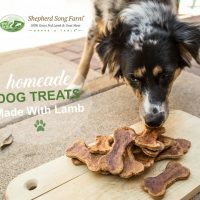 Dog Treat Lamb Biscuits. Photo by Ben Spangler. 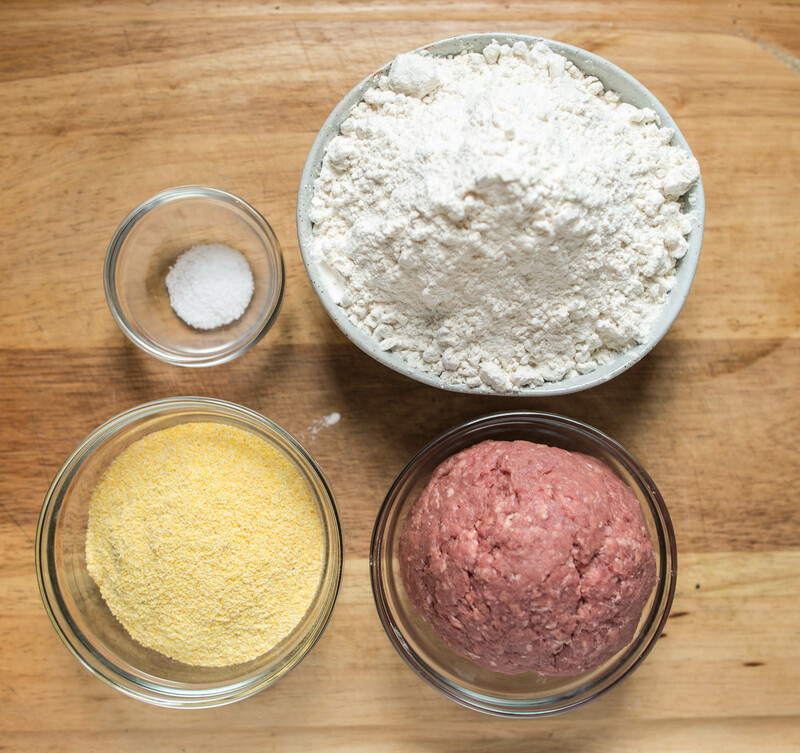 Baked lamb biscuit ingredients. Photo by Ben Spangler. Mixing in the oat flour. Photo by Ben Spangler. Fry and crumble the ground lamb. Once liquid is released from ground and almost fully cooked remove from heat and drain. Place cooked lamb in blender with stock or water. Bled until a semi-coarse puree. Fold in cornmeal then the oat flour. Reserve 1/2 cup of the oat flour. 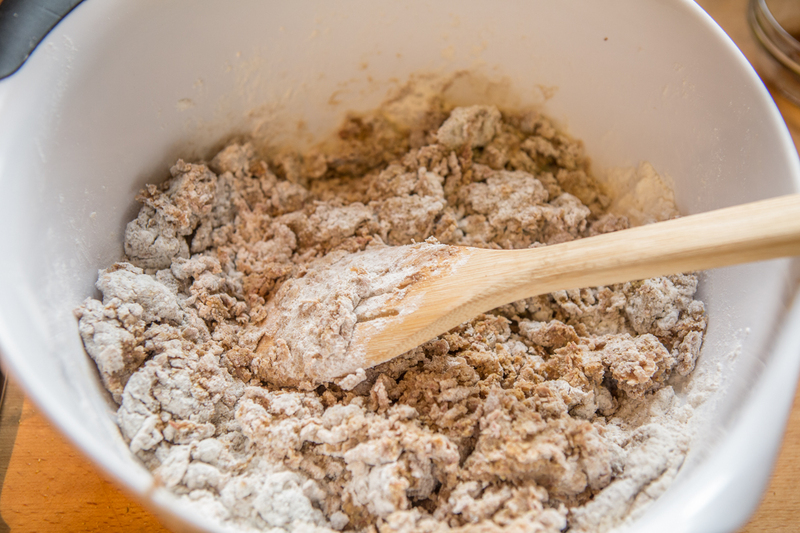 When fully combined add remaining flour until desired consistency. Mixture should be slightly wet yet malleable. 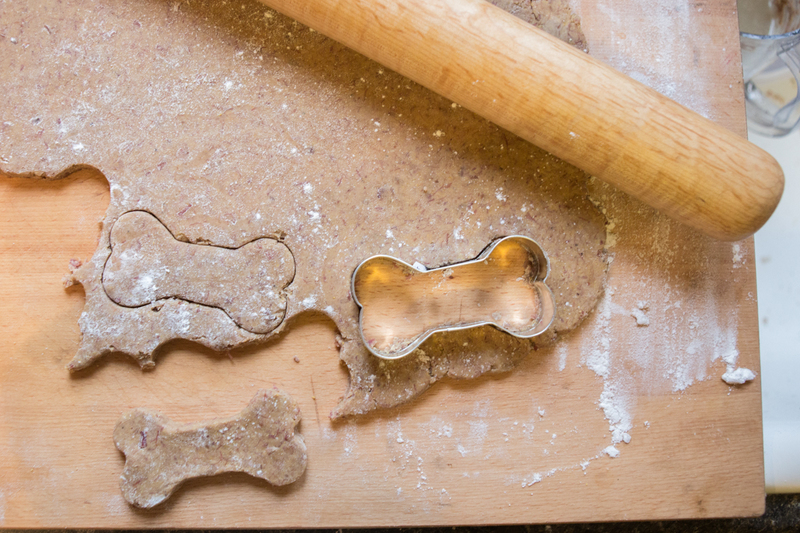 Roll out dough and cut. Photo by Ben Spangler. Roll out ¼ inch thick. Stamp with cookie shapes or cut into rectangles. Bake at 235 °F for 2.5 hours, rotating the sheet pans halfway through. Bake again at 200 for 25 min, then cool. Arrange on cookie sheet. Bake, cool, then serve. Photo by Ben Spangler.